The topic of quantity vs. quality is a valuable conversation in modern society, but also a somewhat confusing topic. Like many parents, I speak with my young children frequently about the importance of high quality over quantity in certain contexts. In many cases, it is argued that one should always choose quality over quantity. However, it really depends on the situation. The real lesson here is teaching your children to know when quantity is important, when quality is important, and also when you can actually have both. Lately, I’ve seen a great deal of chatter about quantity versus quality in the world of horse adoption. In many cases I see the discussion devolve into a debate that results in finger pointing towards groups that produce a high quantity of adoptions. Let’s start by exploring what a “quality adoption” actually means. 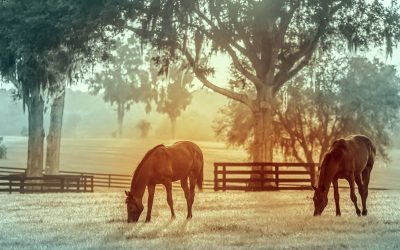 A quality adoption is a process that results in successfully placing the right horse with an appropriately matched owner for long-term care and partnership. A quality adoption will result in the adopted horse receiving good care and both the adopter and equine enjoying a safe and mutually beneficial relationship. There are several critical components that go into yielding a high quality adoption. 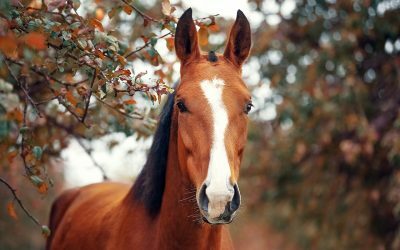 The adoption organization needs to have an efficient process of assessing horses on intake for care and/or rehab if applicable as well as training needs. Adoption organizations need to communicate with the public they have animals available for adoption and convince potential adopters to take an interest. The building of lasting, strong relationships with potential adopters ultimately determines the quality of an adoption. By making a connection with the adopter, the organization can determine if the horse is the right fit for their needs and remain a lasting resource for the horse long after they have been adopted into their new home. Perhaps the most critical component of a successful adoption is lifelong support for the horse. Support includes assistance to keep the horse in its home or taking the horse back if the owner needs to return it for any reason. In order to do so, adoption agencies should maintain an open, positive, trusting relationship and make adopters feel good about coming back for support – no matter the reason. Each of the above-mentioned actions work together to create a quality adoption. Lately, I have seen many insinuations made that if an adoption group is producing a high number of adoptions, they can’t possibly be making high quality adoptions. Quantity and quality are not mutually exclusive. This argument reminds me of fifteen years ago in the dog and cat welfare world where the same arguments were made. Many of the groups that re-homed a high number of dogs and cats were attacked by smaller groups under the guise of poor-quality placement. These attacks were largely unfair. Large-scale dog and cat adoption groups around the country have proven that it is absolutely possible to place a high number of animals, but also retain quality. The same concepts applies to horse adoption groups. In fact, we have a number of horse adoption groups in the U.S. that are proving this as well. 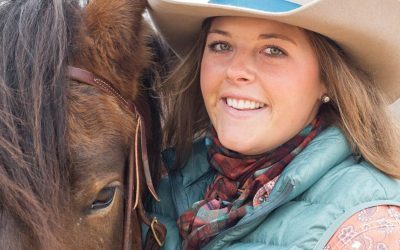 They’re following all the principles laid out above that contribute to quality adoptions – and applying them to a large population of horses. If an organization has strong infrastructure, strong protocols and is well-funded, there is no reason they can’t produce quality adoptions at any number. When I attended the Homes For Horses Coalition meeting in September of 2018 in Orlando, I had the pleasure of hearing Elaine Nash from Fleet of Angels speak on a panel. She looked out over the audience with a very serious voice and said “If we don’t start adopting more horses, we will never get ahead of this problem.” Elaine is right. Nothing will change for horse welfare if nothing changes. If we just keep adopting the same number of horses we are currently, there will continue to be a large number of horses that fall at-risk of inhumane transition each year. Increasing the market share of adoption horses is an obvious part of the overall solution to helping at-risk horses. Many groups are working on many different areas of horse welfare; and all of them are certainly worthwhile and important. The Right Horse has chosen to focus on adoption. We absolutely must massively increase the number of horses adopted in this country. The way that we increase our adoptions is by marketing our wonderful horses to the potential adopters out there that currently don’t consider the adoption option. We need to put an end to the conversation that quantity and quality are mutually exclusive. It is simply not true; and it keeps good organizations from doing even better. The simple truth is that numbers equals lives and therefore, increasing quantity of lives saved is a critical goal to chase. Every adoption results in another open spot for the next at-risk horse. In addition, it is wholly unfair that strong organizations that focus on high number of adoptions are constantly criticized and attacked for doing their good work. The truth is that organizations can suffer from low quality adoptions whether they do four adoptions per year or 200. Low quality adoptions have nothing to do with size but rather process. We are all going to choose to do things a bit differently – that is the magic of the world we live in. The beautiful thing is we all are working towards the same goal. Let’s support each other and embrace the diversity of size and methods of horse welfare groups and celebrate that we all share one goal. The fact is we need to do more in order to really change the fate of at-risk horses. That can be accomplished by developing group’s infrastructure, collaboration and mutual support. It will never be accomplished by divisiveness and negativity. Social problems in today’s society get fixed by collaboration. The horse welfare industry needs to come together, put their differences aside and support each other to achieve real change.